Have you ever looked at photographs that you admire, and wondered how they get such depth and clearly defined lighting and shadow? Maybe you have tried every post production tool you know and are unable to reproduce this effect. The secret is Dodging and Burning. All the top photographers have been doing it all along, many just didn't tell you. In this training, Colin Smith explains exactly what dodging and burning is (Painting with shadow and light). These principles aren't new, they come all the way from renaissance painters and have been adapted by the likes of Ansel Adams in darkrooms. The techniques, however are new; Photoshop opens up new possibilities with its powerful brush and adjustment tools that the masters of old would have killed for. There are 3 main reasons to dodge and burn: Lead the viewers eye with darks/lights, bring out details in photos and add depth and dimension. You will learn all three methods. In a jargon-free, conversational tone (that Colin is well-known for), you will understand not only the how's behind non-destructive dodging and burning, but the why's. 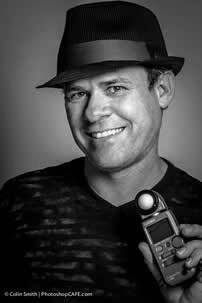 Colin will take the mystery out of where to dodge and where to burn a photo for the maximum results. The 2.5 hour visual journey will equip you to tackle any dodging and burning retouching task. These techniques apply to everything from landscape, portrait, beauty, fashion, to fine art, product, architectural, fitness and advertising retouching tasks, any photo really. 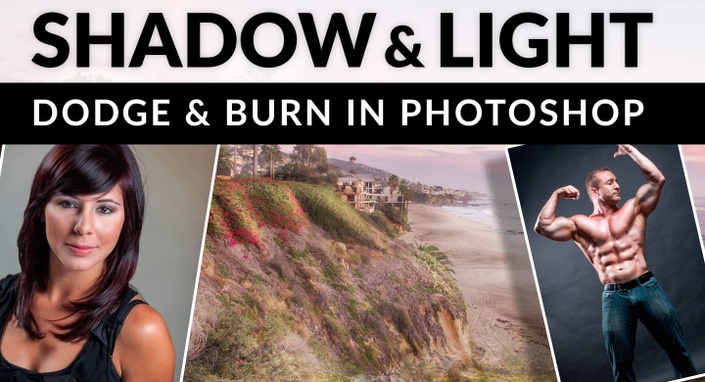 Don't settle for flat images, invest in your photos with Shadow and Highlight, How to Dodge and Burn in Photoshop!